Sometimes I get asked what I would consider is my signature dish, now with everything I have cooked I always find that a difficult question, but if I had to choose just one dish, it would be this one. This is a dish I can probably make blindfolded as I have made it so many times and it is so easy to make. I started cooking this dish many years ago, and it is a hit with all my family and friends. My mother when coming over tells me to cook this all the time. My mother in law asked for the recipe-it was a proud day for me that day. It is so so simple, yet such a great dish. 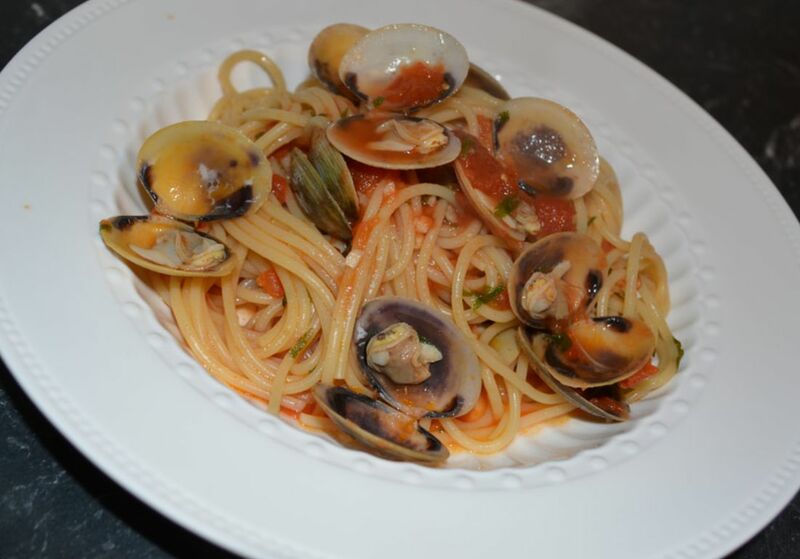 I like the small vongole, but pipis are ok also. This can easily be an entrée for a dinner party or a meal on its own. My family and friends love this, hope you do to. Wash the vongole in cold water. You can stop washing the vongole when the water is clean and all sand is removed. You will need to change the water at least 5 times. For the pasta, bring a pot full of water to the boil now. Make sure you add a tablespoon of salt to the water. 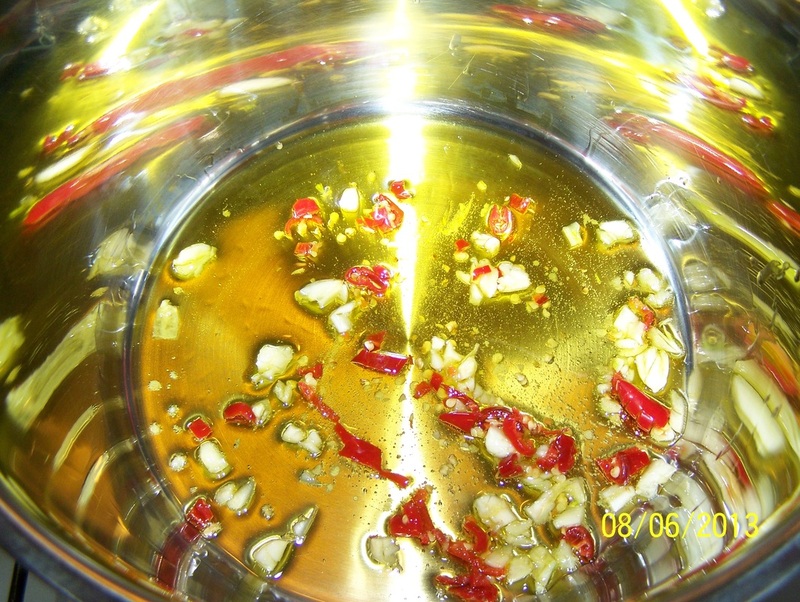 Heat a little extra virgin olive oil over low heat. Add the garlic and chillies, cook for 30 seconds. Add the tin tomatoes, season with salt and pepper. Once it comes to the boil, simmer 10 minutes. 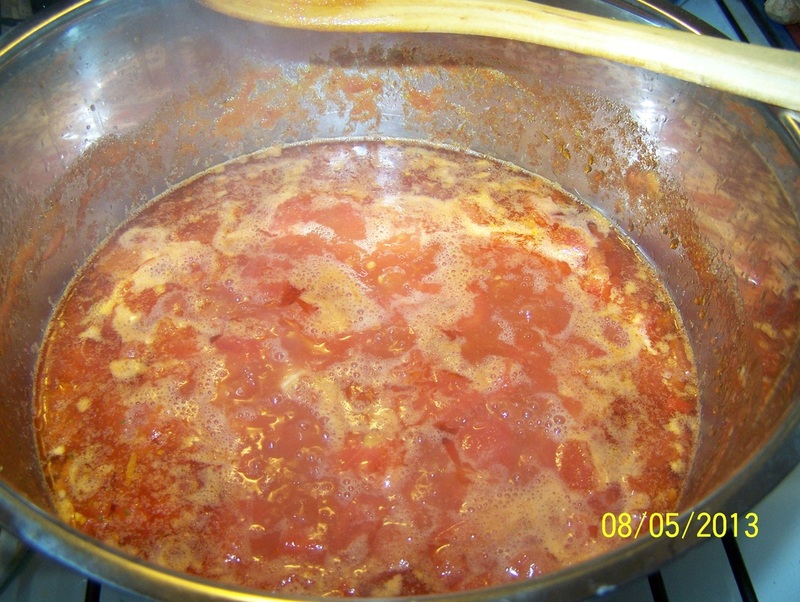 Add the pasta now to pot of boiling water, cook it for 1 minute less than the packet states, as it will continue cooking when you add it to the sauce. 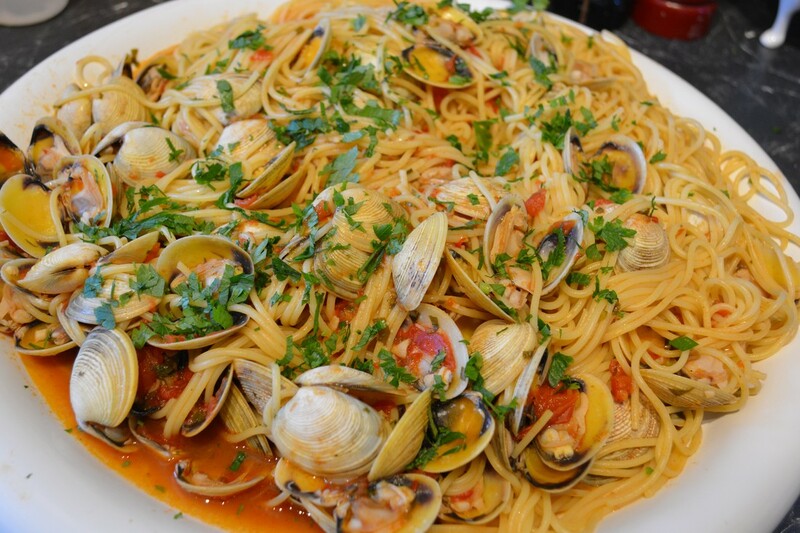 Increase the heat to high on your tomato sauce, add the vongole and parsley, put the lid on the pot, once it comes to the boil, decrease the heat to medium high and let them cook until the vongole have opened, this takes about 3 minutes. Once they have opened, turn off the heat. When the pasta is nearly cooked, drain it. Place it back into the cooking pot. Add the sauce to the pasta, cover it, and let it sit for 2-3 minutes. This is where the sauce will go into the pasta and the pasta continues to cook. 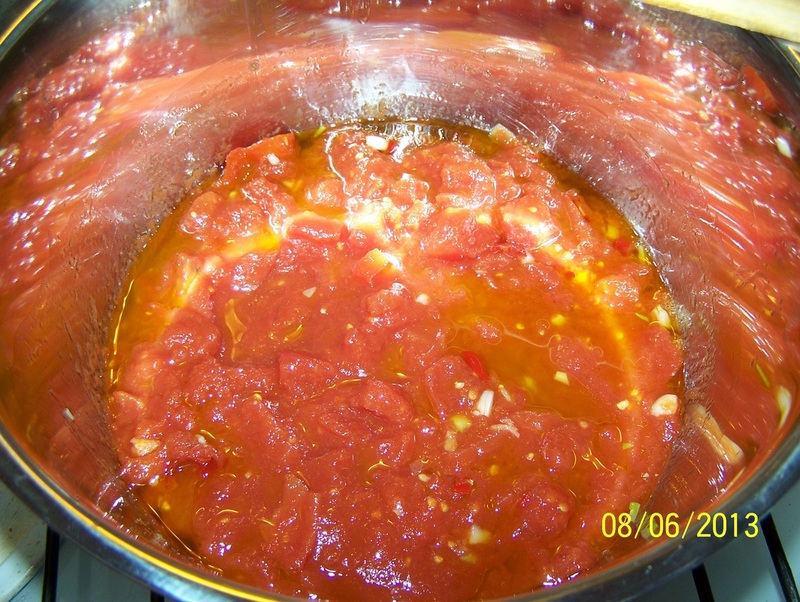 It also thickens the sauce as some of the water goes into the pasta. But don't let it sit too long in the sauce or you will have no sauce left. Give it a stir, pour into a serving dish.